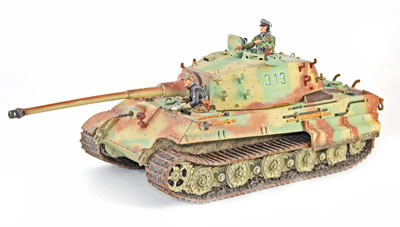 Our specialist die cast, model soldiers and toys sale held on 20th May 2015 had excellent attendance in the room, with over 80% of lots offered selling on the day. 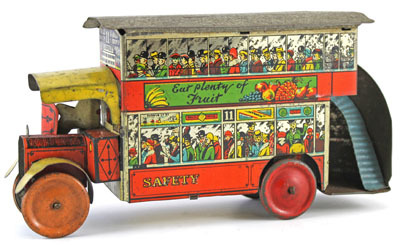 There were 55 lots on offer for buyers in the Tin Plate Toys section this sale, with a mix of collections and individual items. They were well received, with most lots selling above estimate. 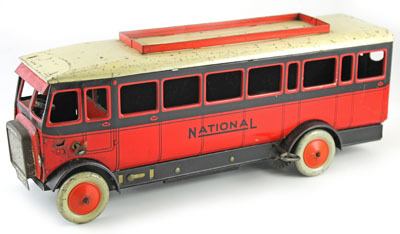 Examples included this Burnett Ltd clockwork National Bus, which sold for a whopping £619 including buyers' premium. 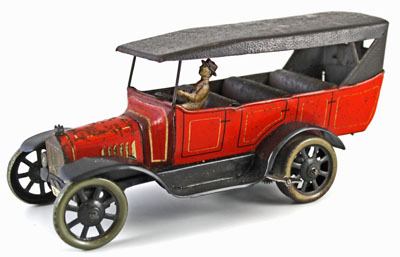 This Bing clockwork Charabanc car achieved £377. And this Smith and Carvey Push-a-Long Double Decker Bus, which realised £531. 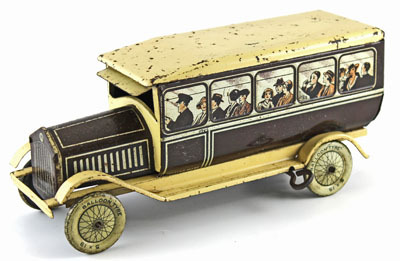 Wells was a popular manufacturer, with this clockwork Touring Coach selling for £436. 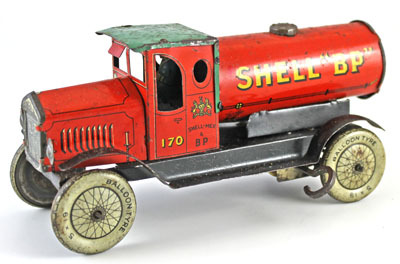 And this clockwork Shell BP Petrol Tanker selling for three times estimate, at £424. In the Model Soldiers section there were 30 lots of the King and Country brand, which specialises in highly detailed models. The lots fetched excellent prices, most selling for well above estimate. 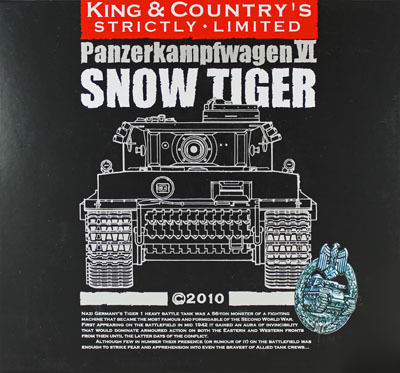 Examples included this Snow Tiger Tank with 2 man crew, which sold for £236 including buyers' premium. And this Battle of the Bulge King Tiger Tank realised £212. 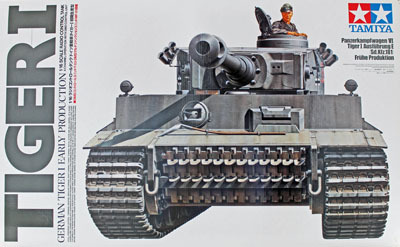 The highlight of the model kits section was this Tamiya 1:16 scale radio controlled Tiger I Tank, which achieved £271. 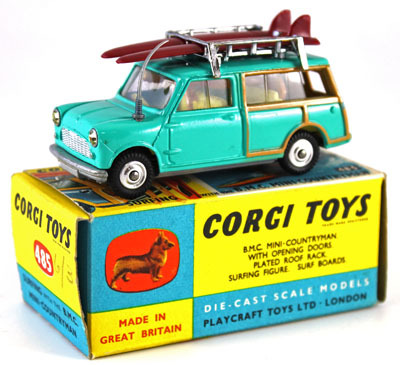 Moving to the diecast section of the sale, this Corgi BMC Mini Countryman No. 485 realised £141. 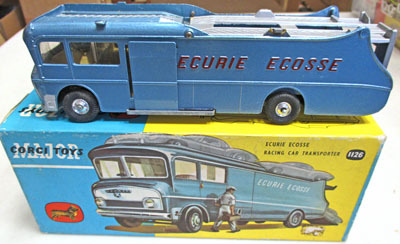 This attractive Corgi Ecurie Ecosse Racing Car Transporter No. 1126 sold for £224, due to its excellent condition. 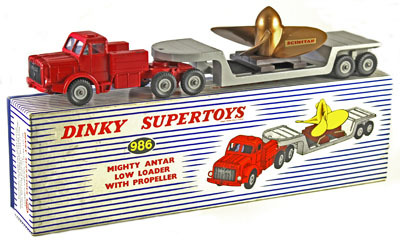 In the Dinky section, this Mighty Antar Low Loader with Propeller No. 986, achieved £177 including buyers' premium. 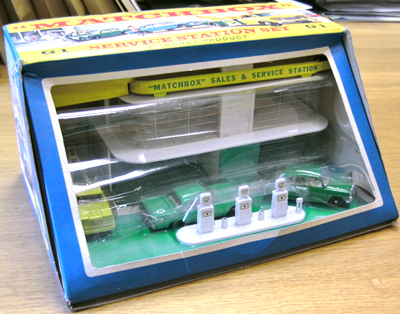 This Matchbox Regular Wheels Service Station Gift set sold for £342. 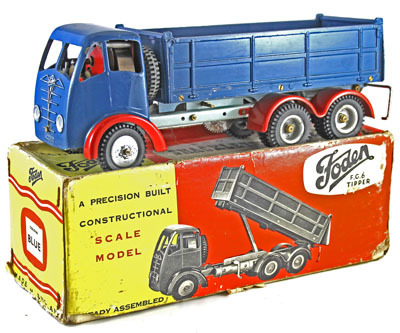 Minichamps were another popular brand with most collections achieving well above estimate. Lot 1014 contained a collection of 74 'F1 racing cars', and sold for £826 including buyers' premium. 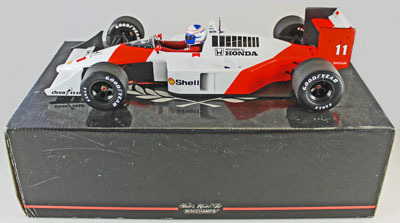 This individually lotted 1:12 scale of Alain Prost’s 1988 McLaren Honda MP sold for £118. The sale came to a close with this Shackleton Foden FG6 Tipper Lorry which realised £377. 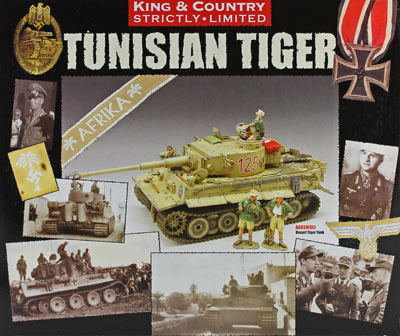 Our next die cast, model soldiers and toys auction will be held on Wednesday 15th July 2015. The full catalogue for this sale will be on our website in the next few weeks, or keep an eye on our Twitter and Facebook accounts for updates and our latest auction news. Are you thinking of selling your die cast or toy collection or perhaps part of it? Would you like us to value your collection and give you advice on how best to market it? Visit our department pages for more information or call us on 01926 499 031 and ask to speak to one of our experts.